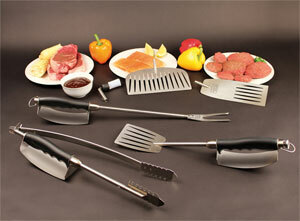 Multi-purpose two-pronged fork for expertly turning meat and more on the grill. View larger. Included meat thermometer stores in the handle for easy access. 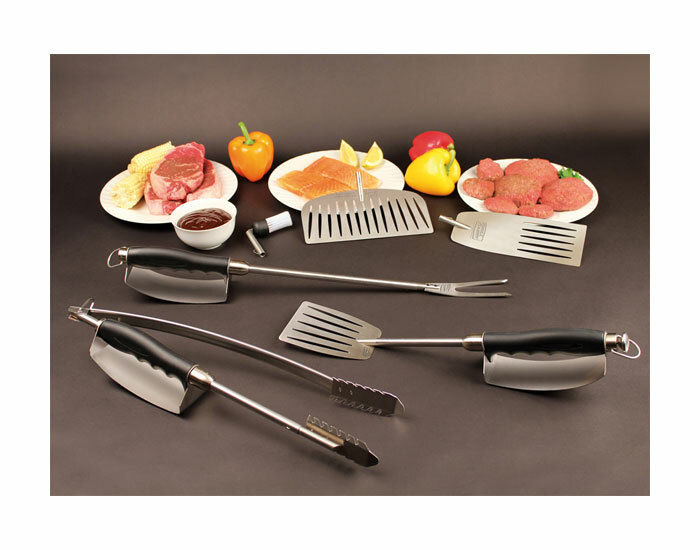 As part of Grill Daddy's Heat Shield collection, the professional-grade fork easily removes from the tool's handle and is dishwasher-safe for quick cleanup. The tool's handle stores a meat thermometer for handy use (meat thermometer included), while its telescoping shaft extends an extra 5-1/2 inches of reach when you need it, plus retracts for compact storage. A handy hang hook also makes storage easy. 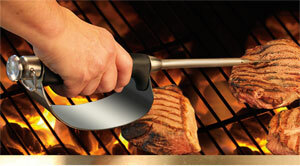 Grill Daddy heat shield barbecue tools shield your hands from grill heat and splatter. 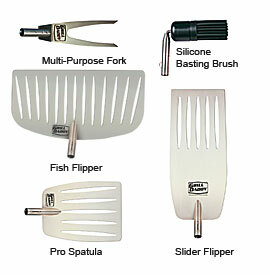 The durable stainless steel fork is perfect for grilling anything from steaks and fish to vegetables. Sharp enough to pierce food for checking and strong enough for lifting. 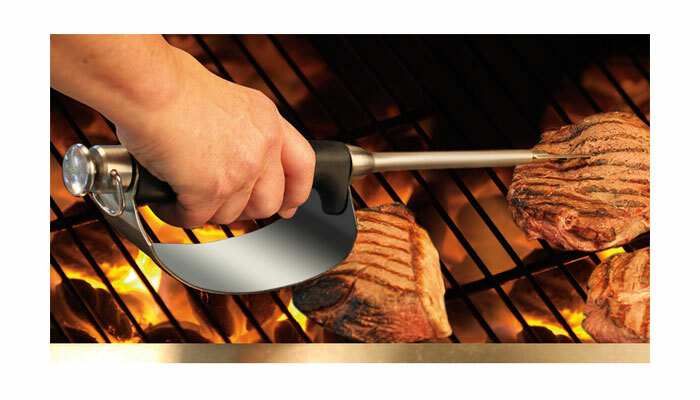 Ergonomically designed handle with heat shields swivel with your hand for continuous protection. Even while handling food on the grill, the heat shield freely rotates to keep protecting your hand from the grill's heat. The shaft telescopes up to 5 inches to extend your reach. Detachable heads means you can mix and match attachments. Always handy fork magnetically hangs from grill shelf or caddy.